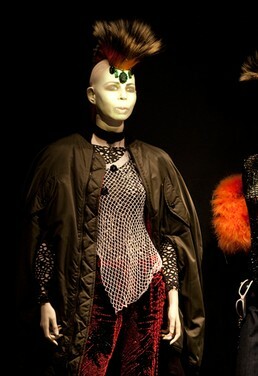 The always incomparable Jean Paul Gaultier launches a Retrospective at the Montreal Museum of Fine Art this month and can I say it is something to behold? 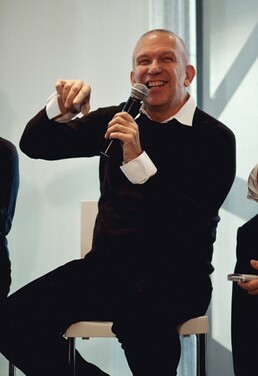 An initially reluctant Gaultier didn’t want to do a retrospective saying that they usually happen after you are dead, but MMFA curator Natalie Bondi convinced him. Based on the photos alone the retrospective is a sight not to be missed. Though I would say that Gaultier doesn’t capture the regular press that he did even ten years ago, the man is still a force to be reckoned with, and really there are only a few designers that influence culture in the way that he has. There are six themes — the Odyssey of JPG, Boudoir, Skin Deep, Punk Can-Can, Urban Jungle and Metropolis. 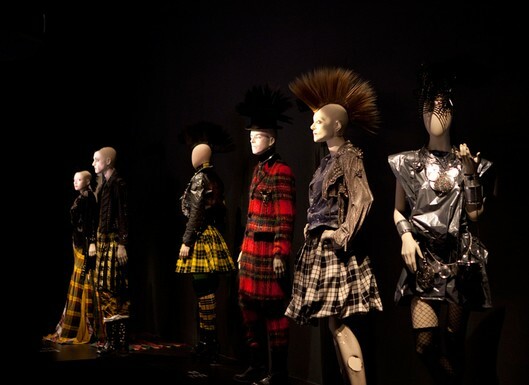 The exhibit, entitled “The Fashion World of Jean Paul Gaultier: From the Sidewalk to the Catwalk,” features 130 pieces from Gaultier’s collections dating from 1976 when he launched his first prêt-à-porter collection before founding his own couture house in 1997. Most pieces have never been shown in public before, including Madonna’s conical bras and photos by Andy Warhol. The entire exhibit contains over 500 works of art, including haute couture, prêt-à-porter, images and photographs. Deciding what to include in the show was left to curator Thierry-Maxime Loriot, who perused more than 150 collections and thousands of pieces before settling on the finalists. “I wanted to tell a story and show the passion of Jean Paul Gaultier,” said Loriot, who modeled for Burberry beside Kate Moss more than a dozen years ago. “He’s a pioneer in his field and I wanted all original pieces with a balance between prêt-à-porter and haute couture. One of the unique pieces is a leopard skin dress that took over 1,060 hours to make, according to Loriot, who also included costumes Gaultier made for films. There’s also a white tutu with Converse sneakers, black leather jacket and studded bustier from Gaultier’s first collection of spring-summer 1977.